You've got the tags. Now what? Place the tags on your washer and dryer (or anywhere else you'd like). The tags are anti-metal which means that they will work on metal laundry machines. 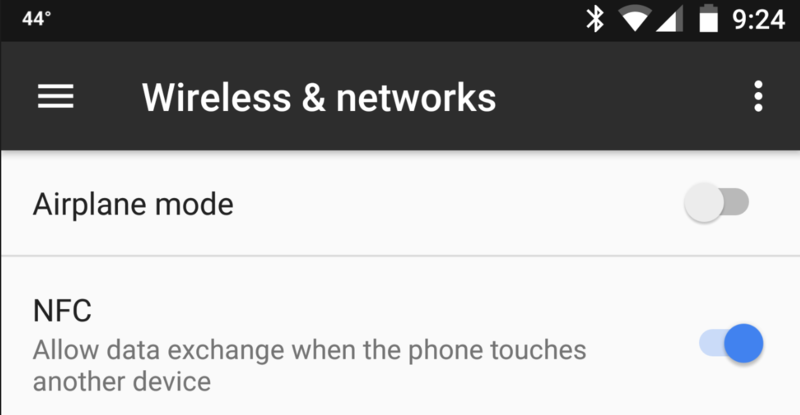 Swipe to the right until you reach the settings screen. Enter the cycle time in minutes for your washer and dryer. Hit the save button. Your tags are ready to use. You should've received an email with a request for your Google account email address to mark your account as paid so that Alexa Cloud synchronization is possible. If you haven't received the email, please send a note to lisa@laundrynfc.com with a copy of your payment receipt. Within the LaundryNFC companion mobile application, tap the Amazon Alexa icon from the settings menu. Next, enable the Alexa skill by saying "Alexa, enable the LaundryNFC skill" to your Amazon Alexa or Echo Dot. Now you can start your machine without tapping the NFC tags or ask about the status of your machines through Alexa. For more information on using the Alexa skill say "Alexa, open LaundryNFC" or "Alexa, ask LaundryNFC for help"
Now that you're all setup, you're ready to use the tags. Tap on the NFC switch to activate it. Tap your phone to the washer or dryer tags. If you have an iOS device, NFC tapping doesn't work at this time. However, you can tap the washer and dryer icons with your finger to start the cycles. 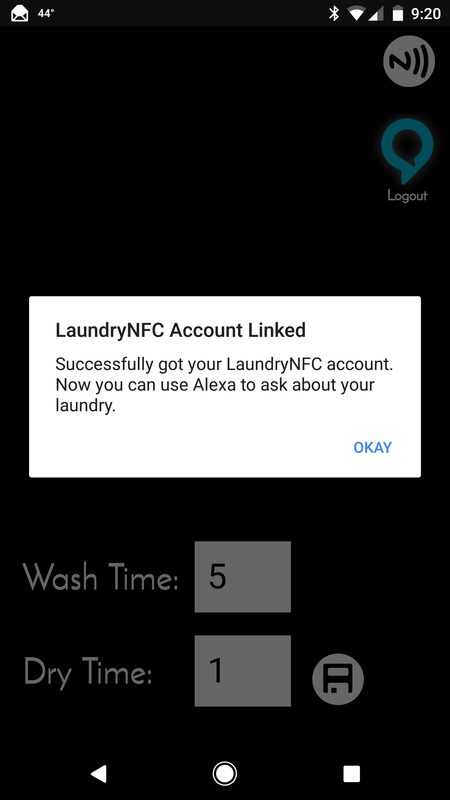 If you have an Amazon Alexa, try asking "Alexa, ask LaundryNFC how much time is left on my washer"
Checkout the Kickstarter, Laundry NFC on Kickstarter.